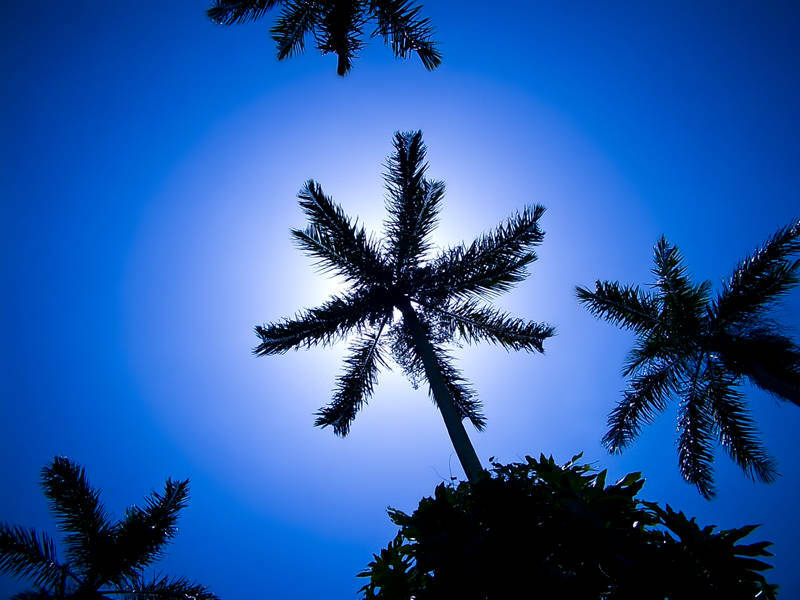 These silhouetted palm trees were in Negril, Jamaica. I took this almost 10 years ago when I first started experimenting with Photography. I was using an early digital compact camera Ex-Z3 with a LCD display. This shot would be difficult with a DSLR as framing the shot is normally done with the viewfinder. Focusing the sun onto your retina is not the best way to go about improving your photography. I plan to put up more images of the Caribbean as I move from the old website to the new blog. A very striking shot. Well done. Rich blue and sharp imagery, awesome combination! Well done!!! Nice use of color and light! Hi there. It was great to see you around. I’m used to seeing them in green but the blue is really great as is the perspective!